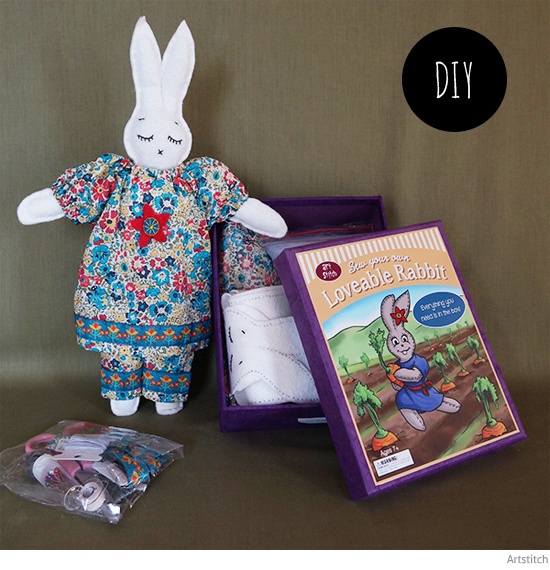 More cute Easter craft for you - this little bunny craft kit from Artstitch comes with everything you need to sew your own rabbit in the prettiest cotton Liberty outfit. Too sweet! Head to the Artstitch online store to check out the whole range. Make one for a little person, or buy as a gift for an older child. Suitable for beginner to intermediate sewers.